Over 6,700 times the Hebrew name of the Creator is mentioned in the scriptures of truth. But the translators of the King James Version of the Bible chose not to transliterate His name from the original Hebrew into English. They chose instead to replace it with the title “the LORD.” They should have written down those 6,700 times “Yahweh” and the shortened form “Yah,” for that is the sound of His name, written out into English. Better make that 6,699 times, for only one time did the translators leave in the KJV God’s original Hebrew name. It is found in Psalms 68:4. “Sing unto God, sing praises to his name: extol him that rideth upon the heavens by his name JAH.” Praise Him by His name JAH. And since the letter “J” did not come into the English alphabet until medieval times, the spelling came from “IAH” with the “i” coming from the “Y” in yod, the Phoenician letter for “i”. So YAH would be a more correct transliteration of His name. Quoting the editors on page iv of the Preface to the New King James Version of the Holy Bible: “The covenant name of God was usually translated from the Hebrew as “LORD” (using capital letters as shown) in the King James Old Testament. This tradition is maintained.” Maintained except in Psalms 68:4. Furthermore, the Son of God’s name was the same as the patriarch Joshua. It was not Iesus or Jesus. It was very close to the name Joshua, or Ioshua, or Yehoshua or Yahshua. The name means “Yah is Savior” or “Yah is Salvation.” The Son did say that He came in His Father’s name. Somewhere in the Son’s name must be the Father’s name. The thoughts expressed in this book explore the deep things of God—things that can only be spiritually discerned. These things pertain unto our perfection and how we get to that perfected state. These deep things of God explore what He desires to do with us, His sons and daughters, after He takes us to where he wants us to be. And all of this will be done right here on earth. 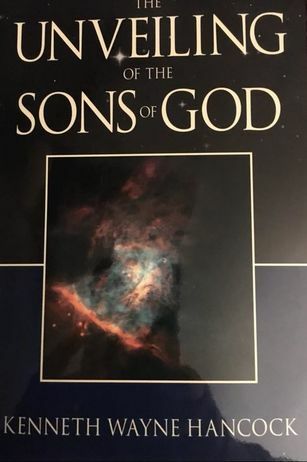 This book has been written as a tool for the future manifested sons and daughters of God. Its subject matter is of a mature spiritual nature. It is not for children who are “tossed to and fro with every wind of doctrine.” This book is for those who have been called to partake of the strong meat of the word. It is for those who are tired of “playing church” and want the real plan of God operating in their lives. ​To send for this free book, All you need to do is to include your complete mailing address, Along with the words “The Unveiling Book” in the subject line below. Copyright © 2018 Clearway Productions, INC. All Rights Reserved.